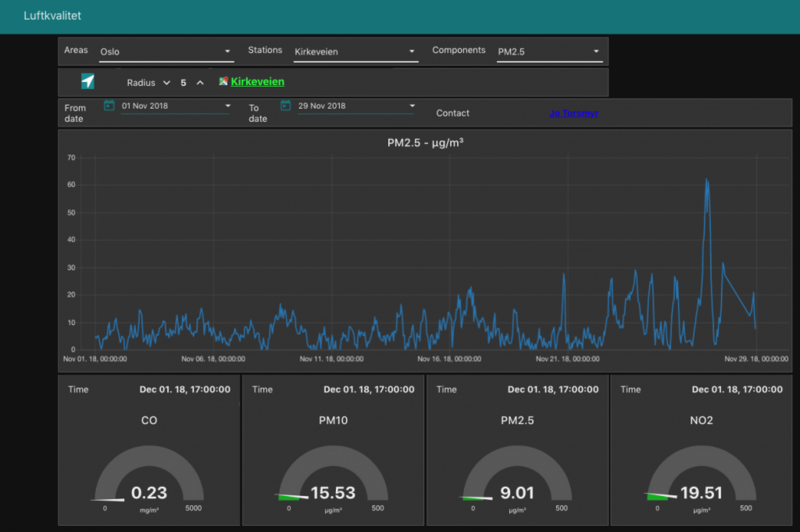 The hackAIR dashboard compares air quality data (PM 2.5) from the hackAIR sensor, the nearest air quality measurement station from Luftkvalitet.info (Kirkeveien), and my indoor air quality measurement station, a Foobot air quality measurement device. 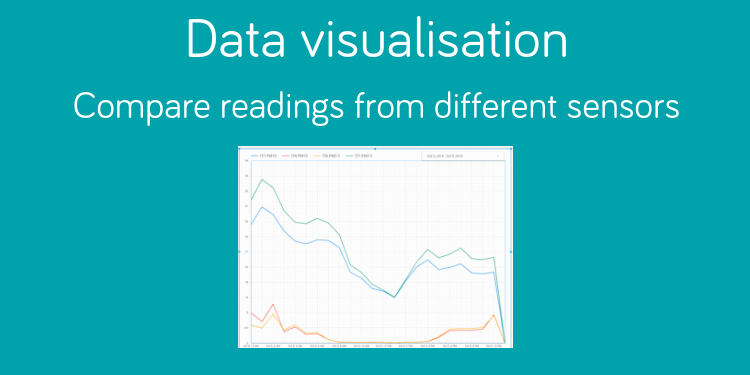 The dashboard shows the latest readings in gauges, and historical measurements in graphs. 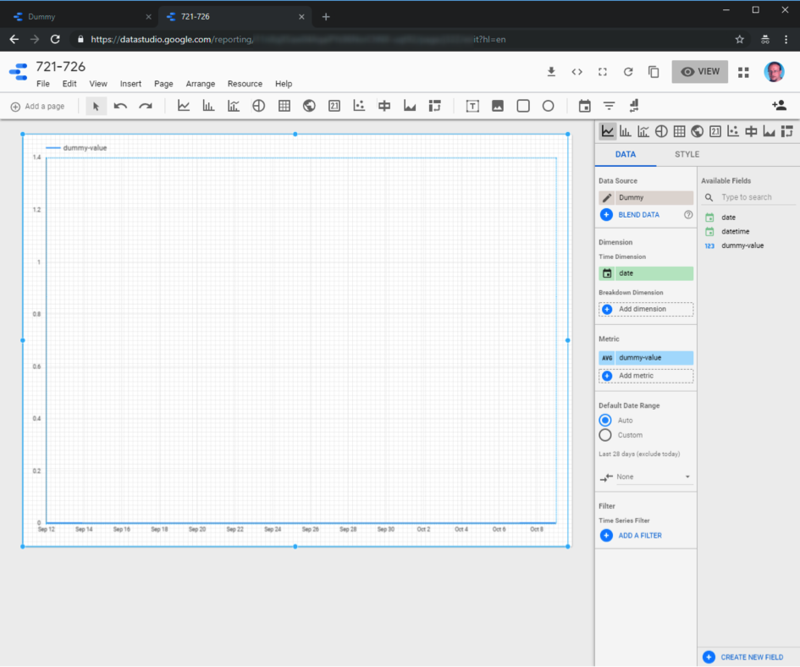 Time period (from and to date) for the graphs can be selected as desired. 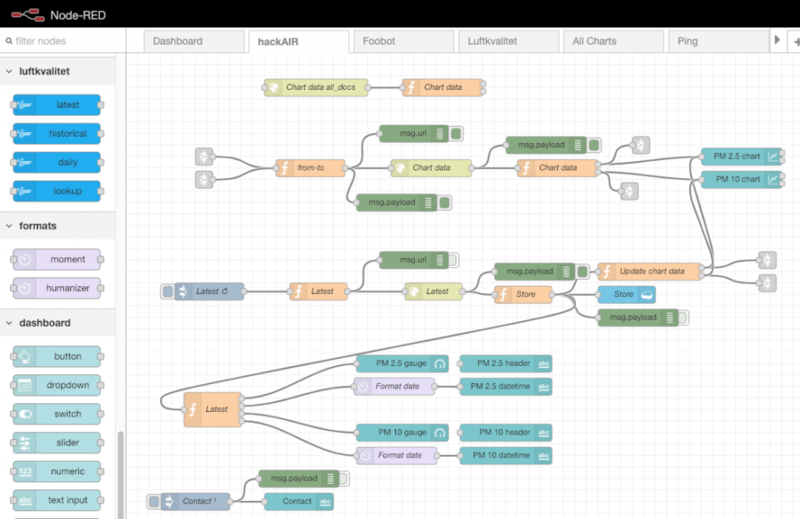 My hackAIR dashboard runs in the cloud and is implemented with Node-RED flows and the Node-RED Dashboard, running on a Node.js server. 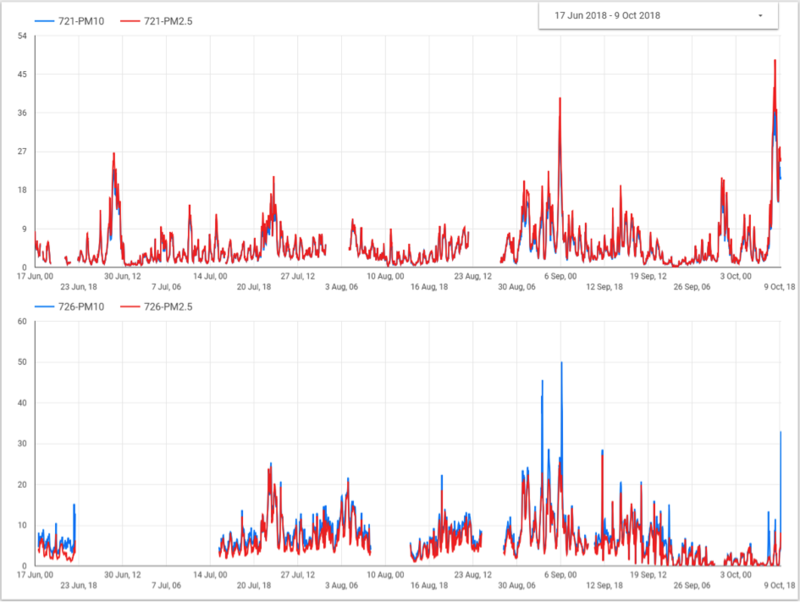 Node-RED flow runs every 5 minute to collect newest sensor readings. 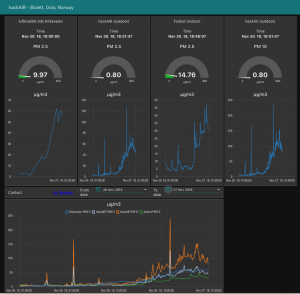 The sensor data from my hackAIR sensor (and the Foobot sensor device), is stored in a Cloudant NoSQL database. 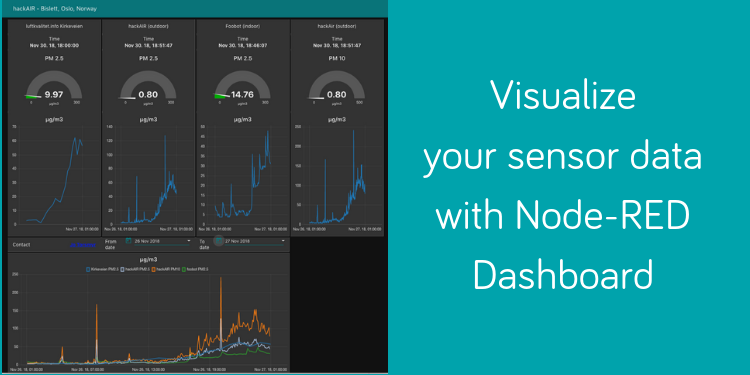 The dashboard gauges is automatically updated with the newest sensor data. 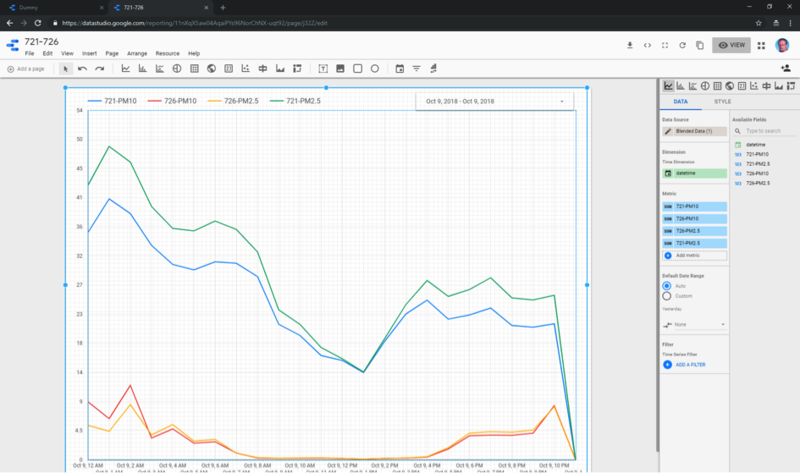 The database is used to get historical data for the graphs. 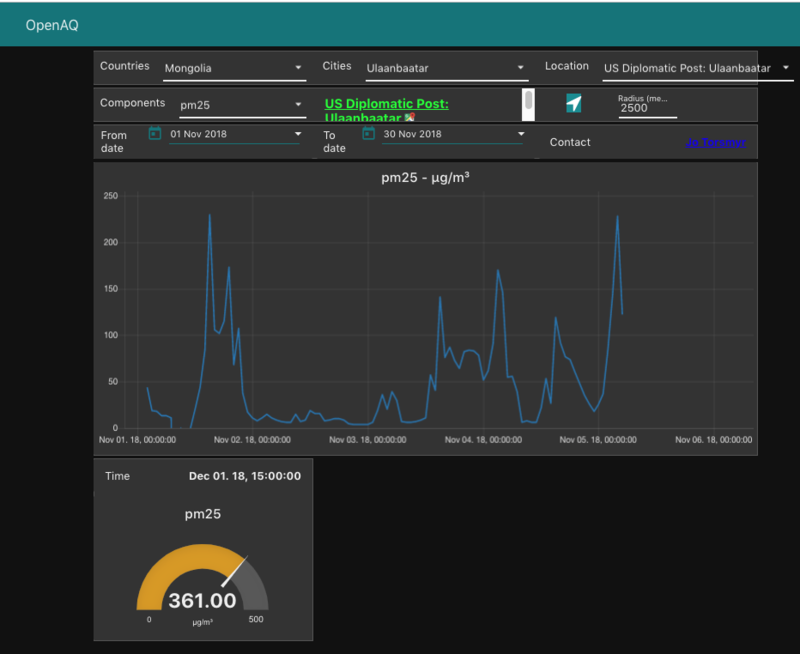 I have also created generic dashboards for Open AQ and Luftkvalitet.info for visualization of air quality measurements from their stations. I have created specific Node-RED nodes for Open AQ and Luftkvalitet.info for easy consumption from Node-RED if you want to roll out your own visualization or computation. Check out the Node-RED Open AQ nodes and the Node-RED Luftkvalitet.info nodes. 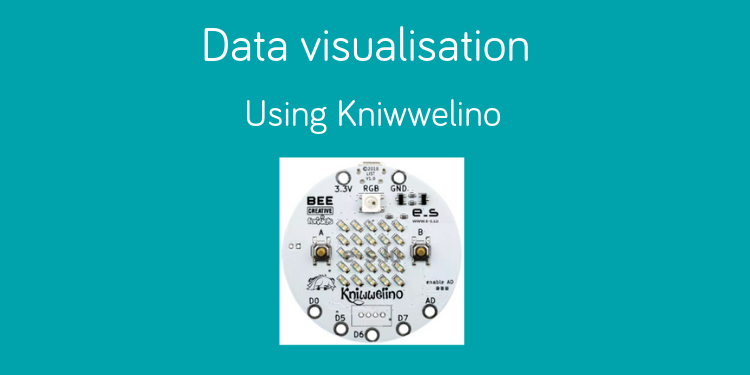 Have fun with this newest addition to the data visualisation tools on the hackAIR website! 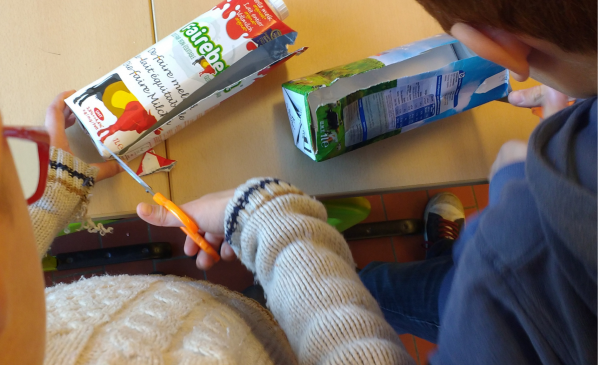 Bring together in one room: 21 enthusiastic kids, an air quality expert from the VUB (Free University of Brussels), smartphones in the classroom and many empty drink cartons to build their own cardboard sensors. 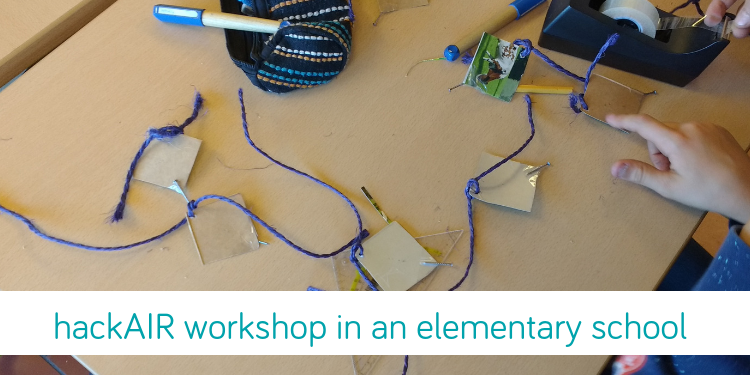 These were the ingredients for the hackAIR workshop at a primary school in Brussels – a big success! 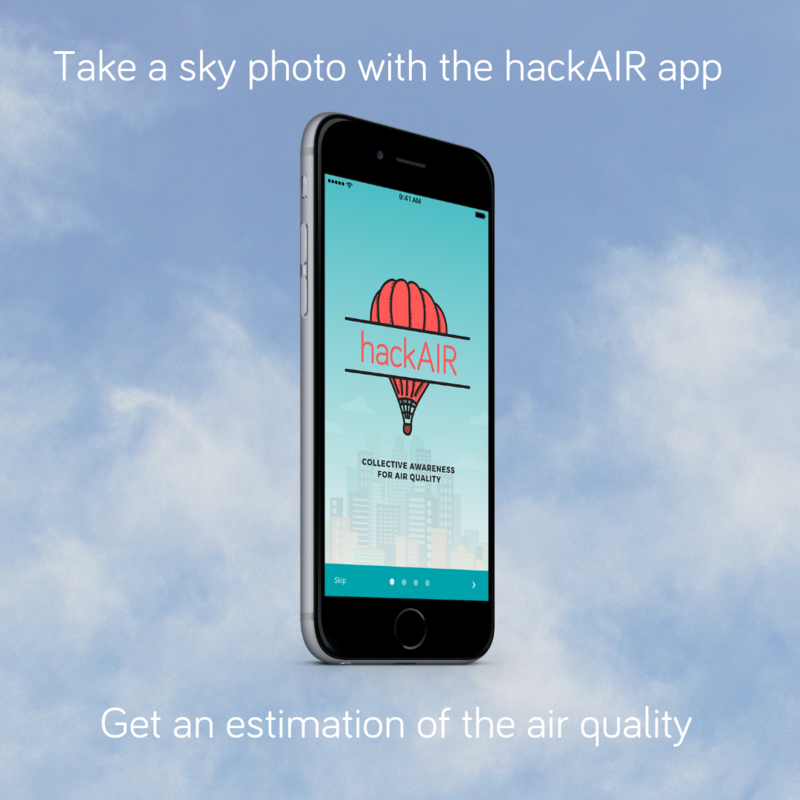 What do you already know about air quality? How is the air quality in your city, around the school, in your street? 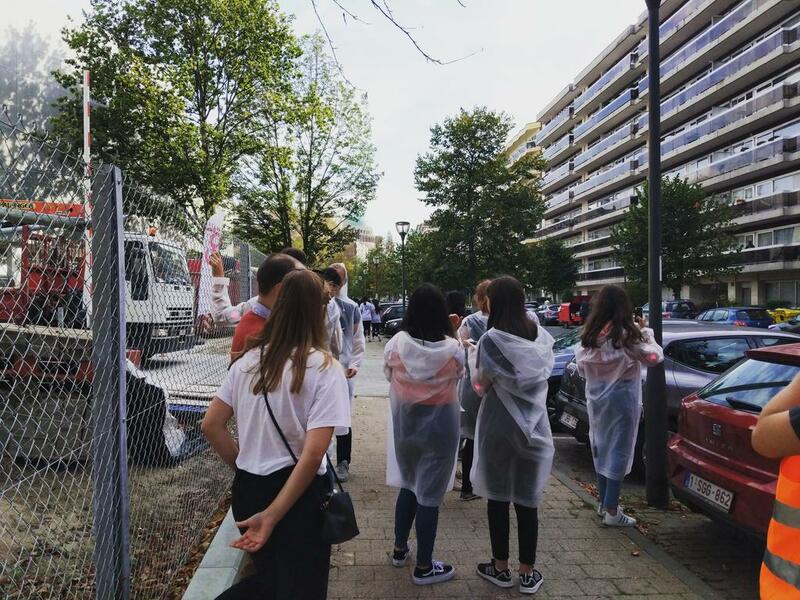 And what could you do next week for a better air quality in your neighbourhood? The 8-10 year old pupils were very eager to answer, discuss and explore these questions using the hackAIR platform. 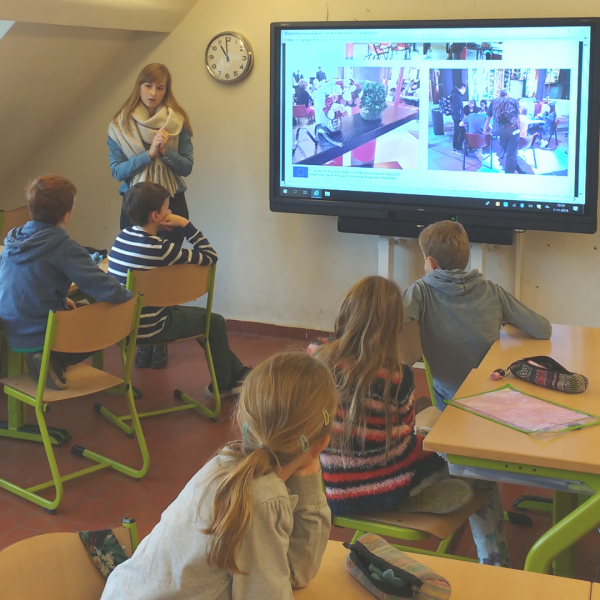 Carina Veeckman (VUB) did a great job in explaining and guiding the children into the world of air quality. 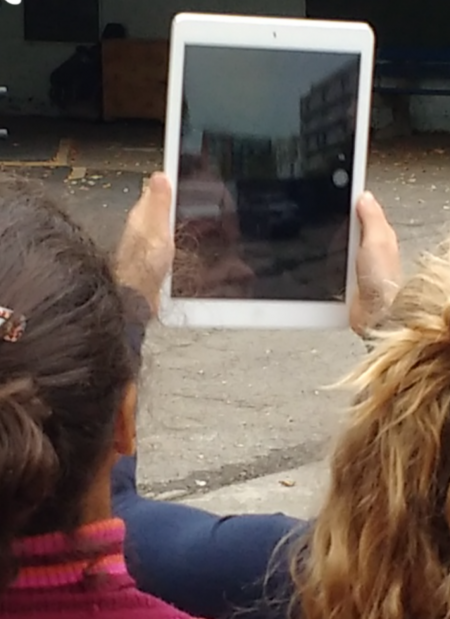 And well: they had so many questions! In the next round they were ready to build their own hackAIR cardboard sensor. Cutting, folding, bending, coating. 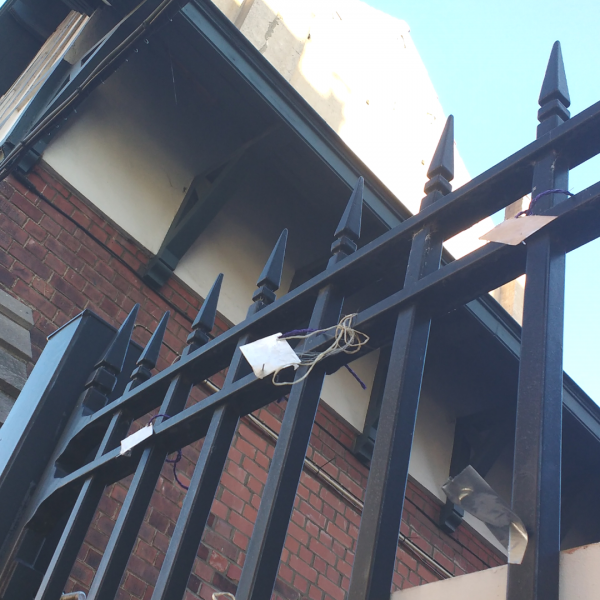 At the end of the afternoon 6 sensors were placed at the school gate and several more taken back home to measure the local air quality in the children’s neighbourhoods. 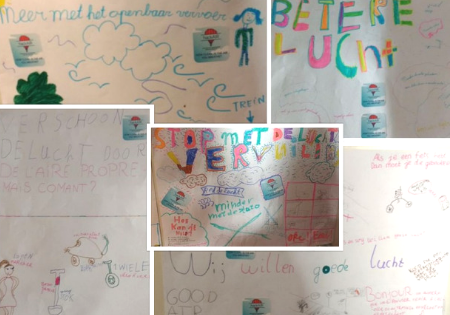 And finally the kids made posters to convince all the parents of the school to act for better air quality. What convincing activists they are! This workshop was co-hosted by Inge Jansen (ON:SUBJECT) and Carina Veeckman (VUB). 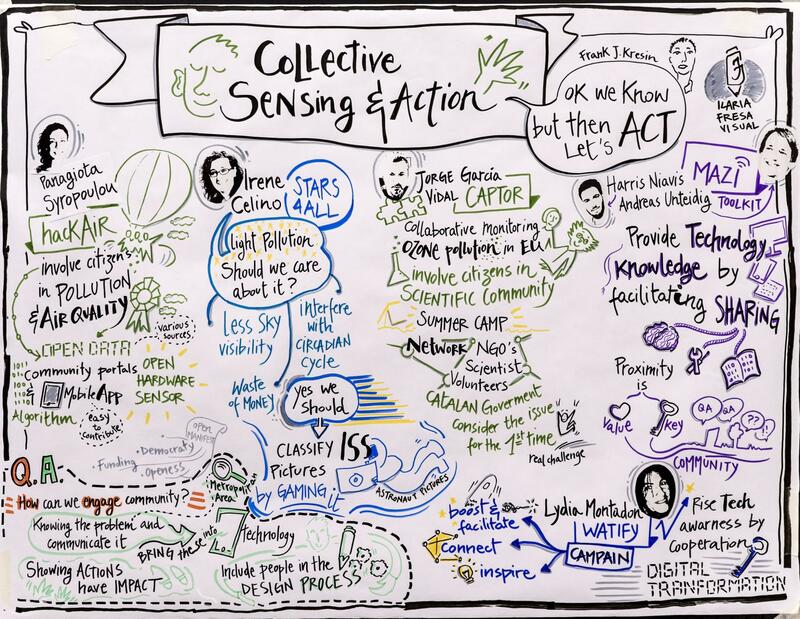 This workshop report was written by Inge Jansen. 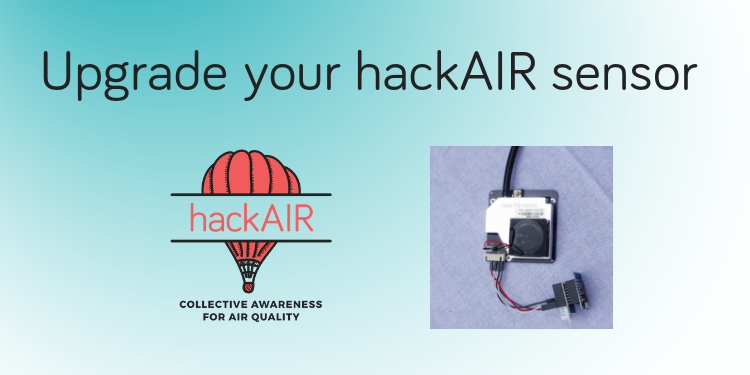 The hackAIR project is slowly coming to an end! While our servers will still remain live for a while, we want to make sure you can continue to use your own sensors as long as possible. 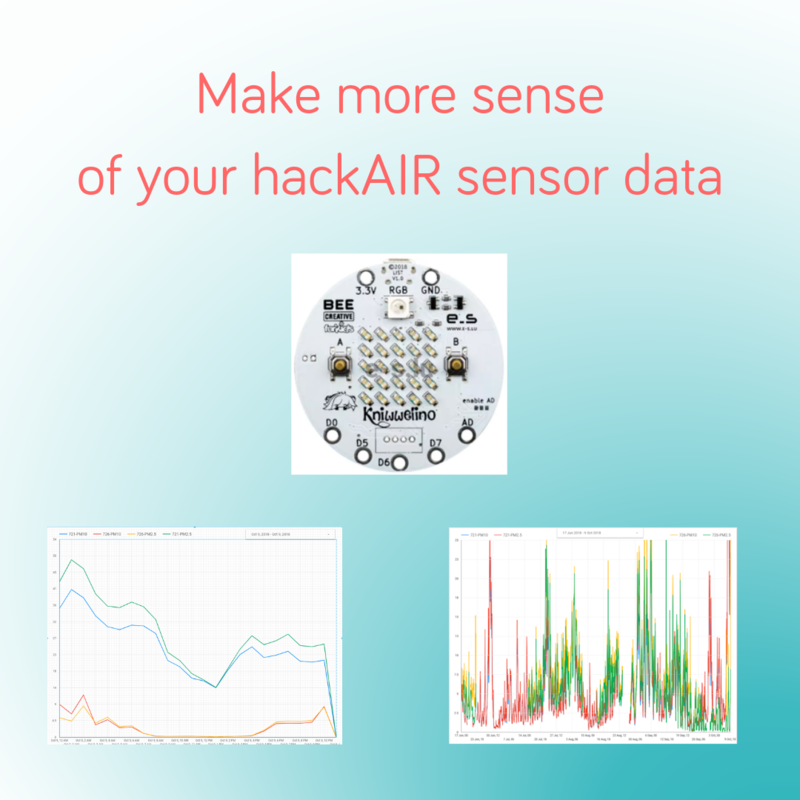 For that purpose, we have started a collaboration with OpenSenseMap and created an improved version of the software running on our sensors that sends measurements to both OpenSenseMap and hackAIR. 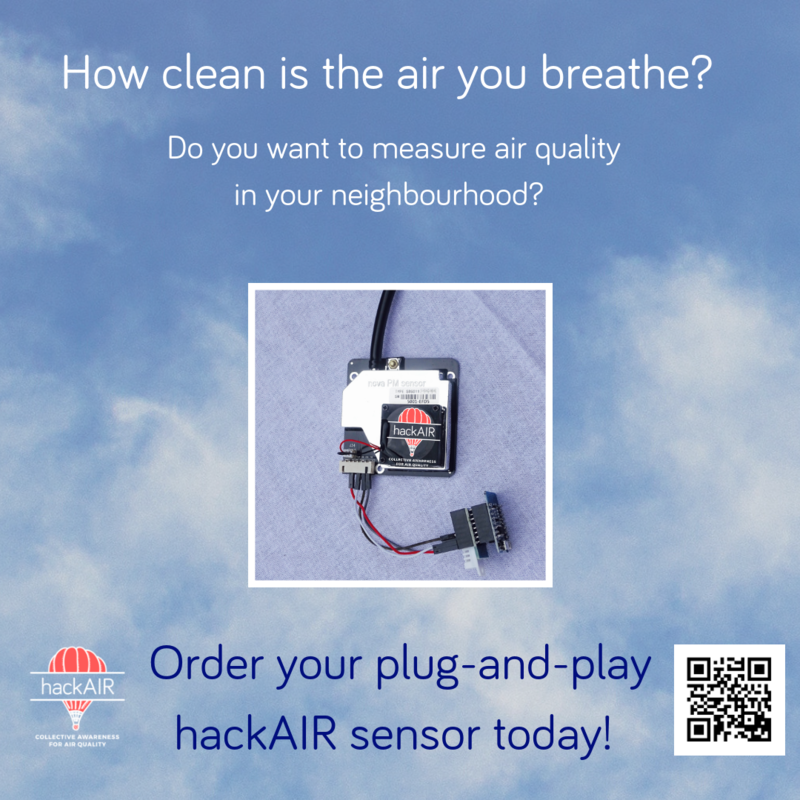 Below are the step-by-step instructions to upgrade your hackAIR sensor with the new software version. Note: We’ve tested the new software, but we provide these instructions without guarantee. 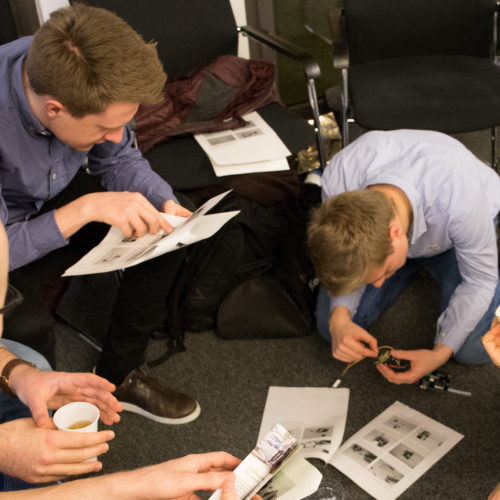 If you have suggestions to improve them, let us know! 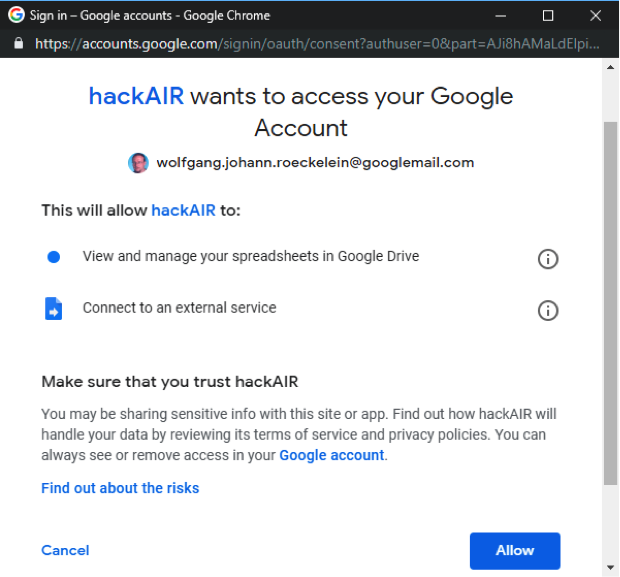 Go to your profile on http://platform.hackair.eu and take note of your hackAIR access key as well. Connect the sensor to your computer with a micro-USB cable. 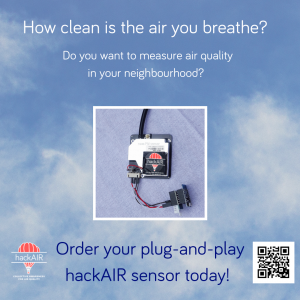 These instructions assume that you have installed hackAIR software on your sensor before. If this is your first time, start with Step 2a below before continuing here. 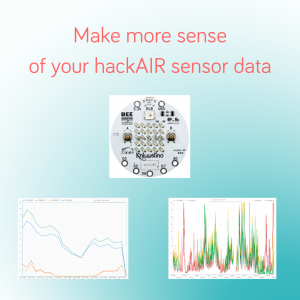 Download the new hackAIR sensor software from https://github.com/hackair-project/hackair-v2-advanced and open it. Then upload it to your sensor using Sketch → Upload. That’s it! Disconnect the sensor from the computer. When you power it up, it will create a temporary WiFi network. 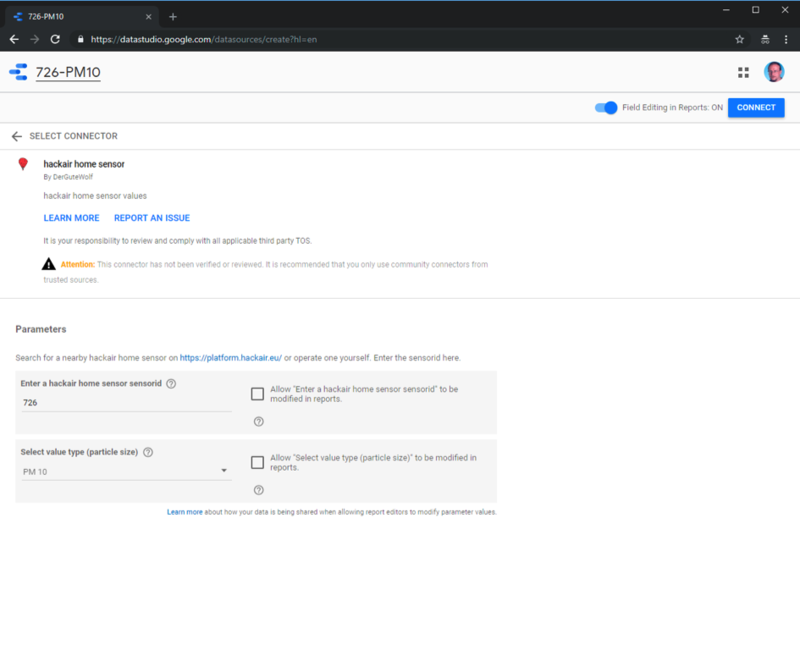 With your laptop or phone, connect to the WiFi network ESP-wemos. Go to 192.168.4.1 and configure the WiFi by entering the details of your home WiFi (SSID and password). 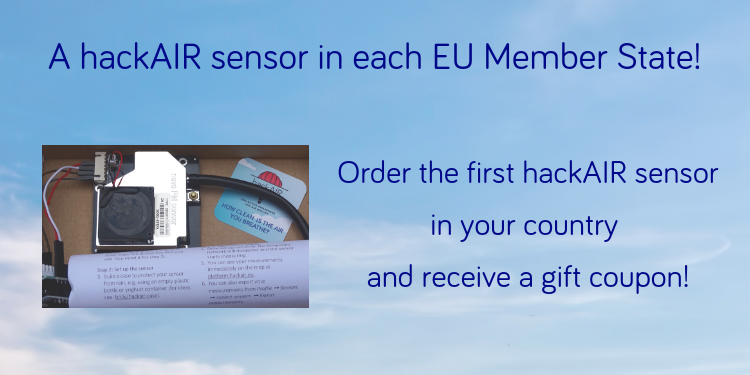 You will also be asked for your hackAIR access key and your OpenSenseMap credentials (senseBox ID and senseBox access token). Once set up correctly, the temporary network will disappear and the sensor starts sending measurements to both platform.hackair.eu and opensensemap.org. 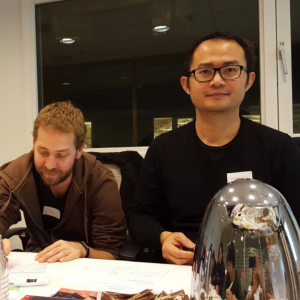 This blog post has been written by Philipp Schneider, researcher at NILU (Norwegian Institute for Air Research). 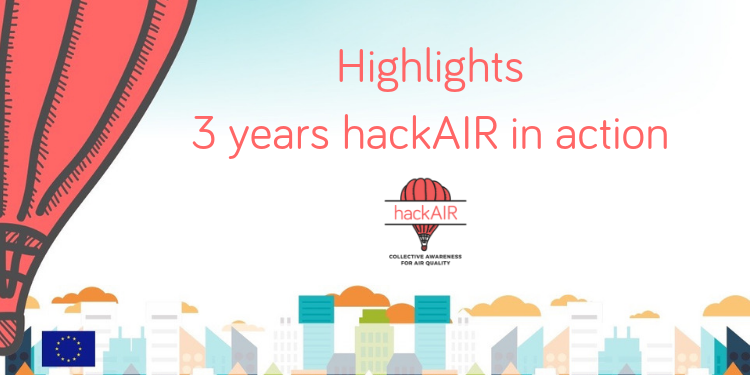 NILU is one of the hackAIR project partners. 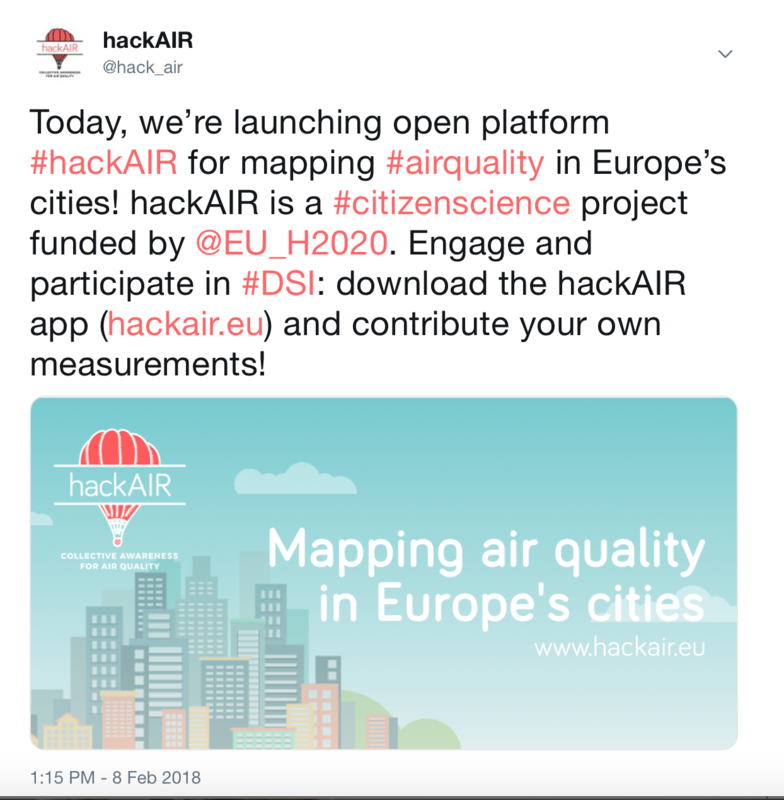 The hackAIR project brings together air quality information from a wide variety of data sources. This includes data from low-cost sensor systems, air quality estimations based on sky photos, and air quality monitoring stations equipped with reference instruments. These data sources exhibit widely varying levels of accuracy and often measure quite different variables. 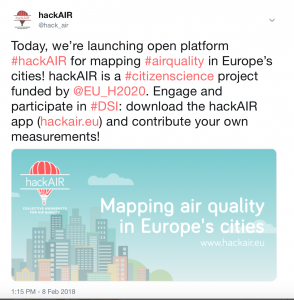 In order to make sense of such heterogeneous information and to provide air quality information at locations where no measurements are available, the hackAIR project has developed a data fusion method. 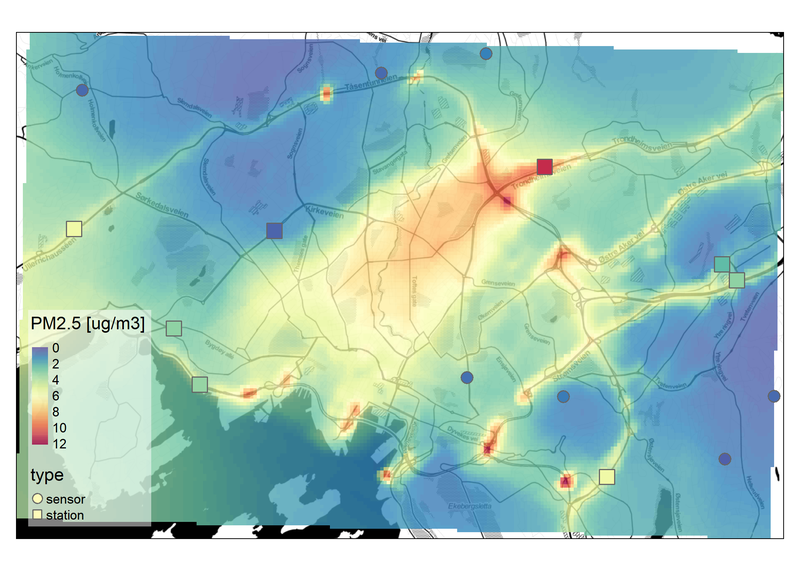 The method is based on geostatistics, a specific class of statistics that enables analysis and prediction of data connected to place and time. 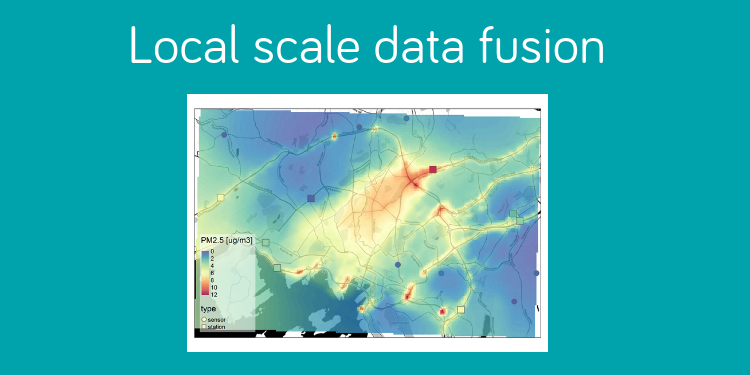 This data fusion method can merge the various observations as well as model information resulting in a value-added map of air quality. Data fusion has been used in the hackAIR project primarily at the country-level and at relatively low resolution in the order of several kilometers. 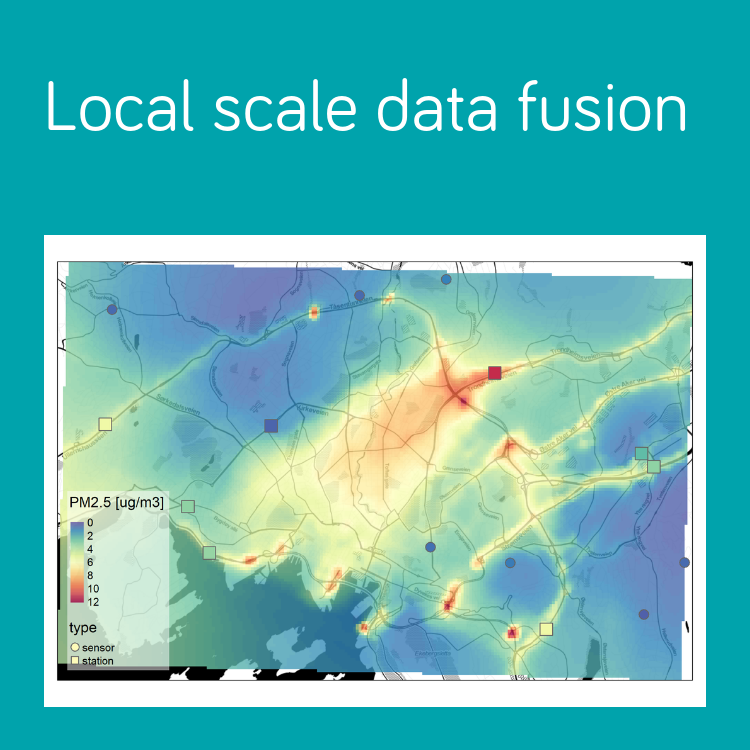 This is an example output of local-scale data fusion for the area of Oslo, Norway. 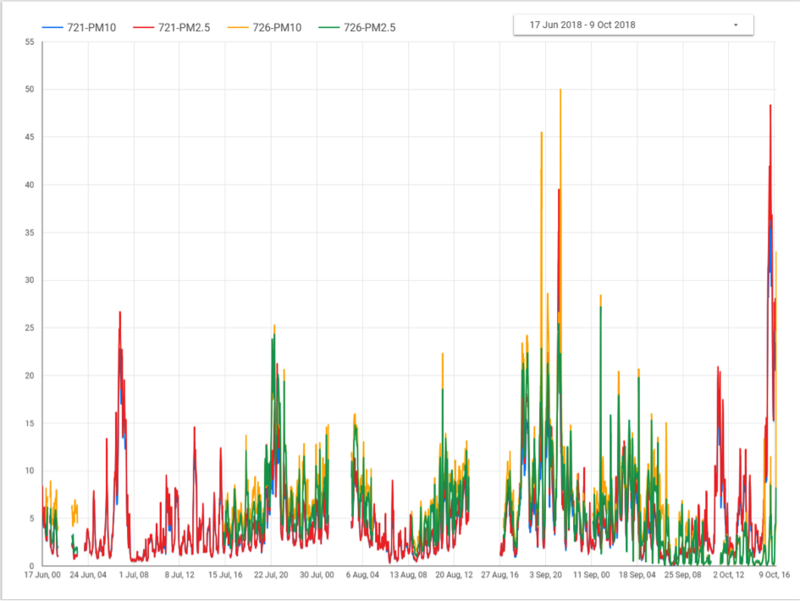 We fused model output of PM2.5 with PM2.5 observations from the hackAIR sensor units (circles) and air quality monitoring stations (squares), resulting in an up-to-date high-resolution map of air quality. 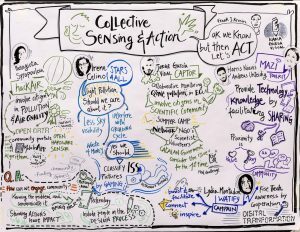 While the initial results of the case study look promising, more research is needed to ensure that this data fusion method works in a reliable way also at the very local scale. 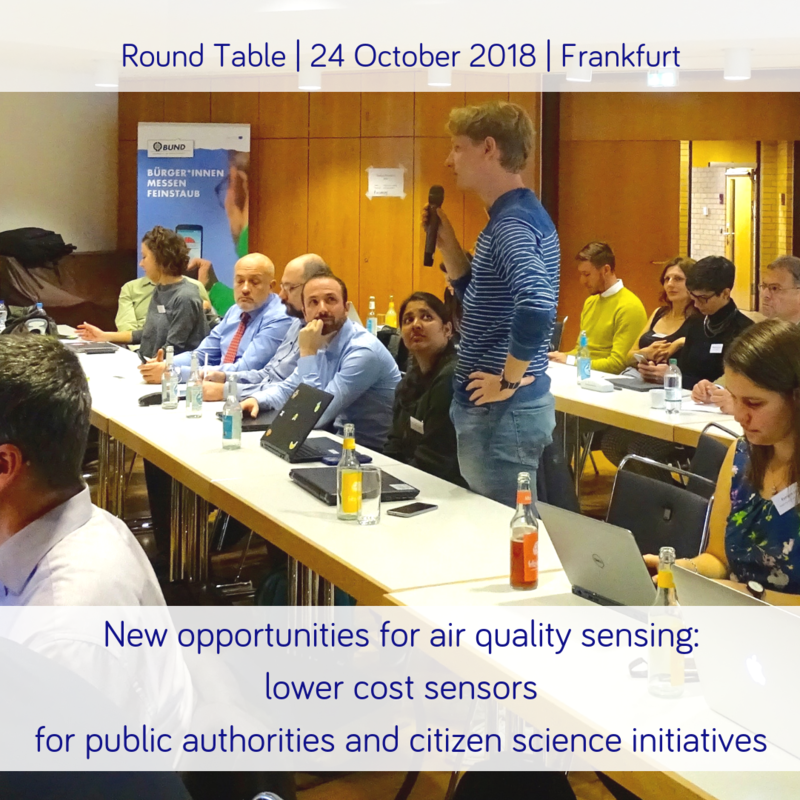 Once this is accomplished, the method will allow for providing personalized and hyper-local information on air quality to support users in making informed decisions. 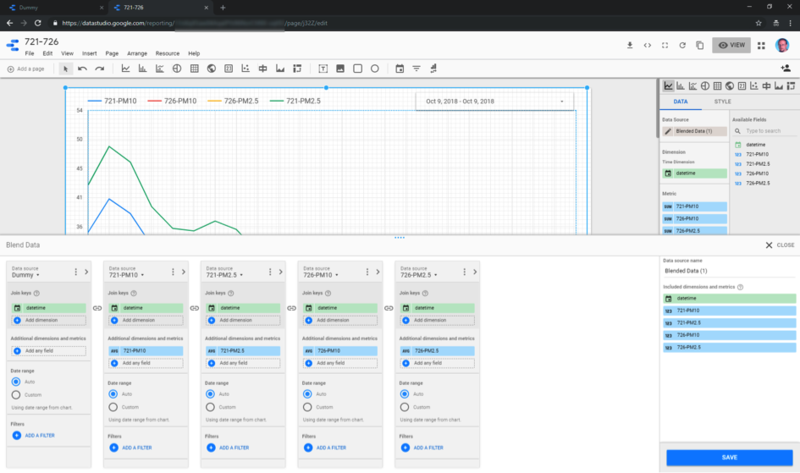 To learn about variations in our sensor measurements, this blog post prompted me to some more experiments with Google Data Studio and Google Sheets (yeah, I know, it’s Google, but first the sensor readings are no personal data, and second Google Data Studio and Google Sheets is available for free and have some nice and useful features for our purposes and is completely online, so no installs necessary). 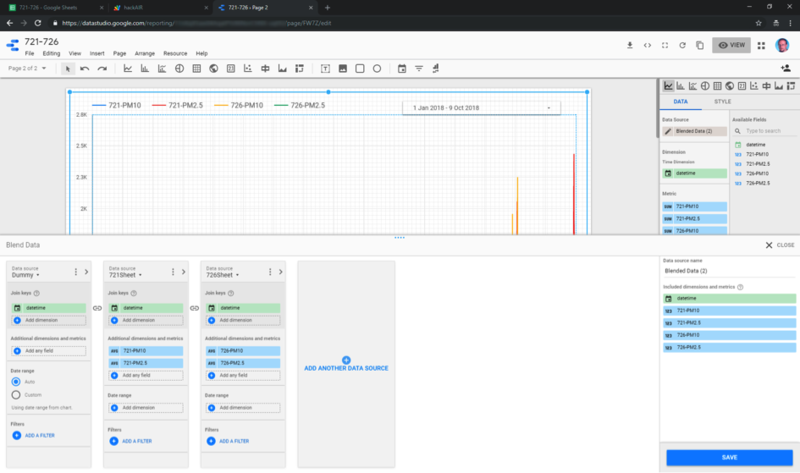 Instead of using data.world and (secret) sensor access keys, I built an open source Community Connector for Data Studio using the same API as in my hackAIR Kniwwelino project, thus the sensor identification is via sensor ID. 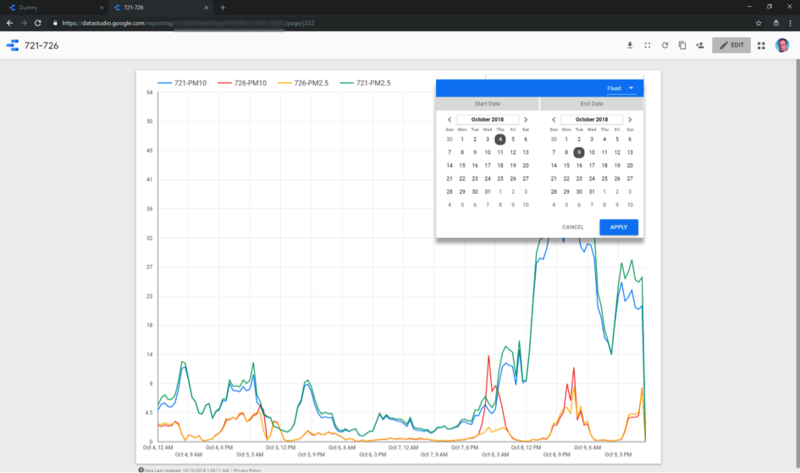 As the API fetches no more than 5000 data points, therefore the connector fetches the data day-by-day. Each fetch takes around 10-15 seconds. 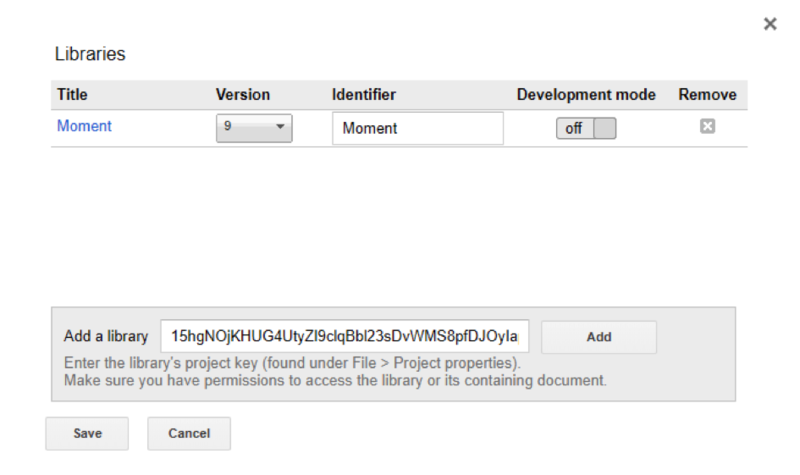 The connector caches fetched values, but only for at most 6 hours due to Google Script limitations. 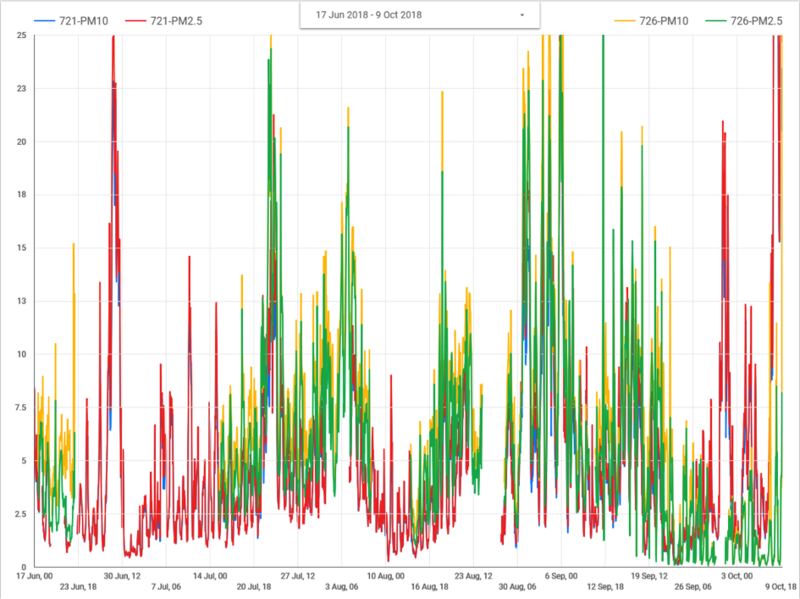 See this post for a solution for this, but at first I will show how to compare PM2.5 and PM10 readings for two sensors from yesterday with Google Data Studio. 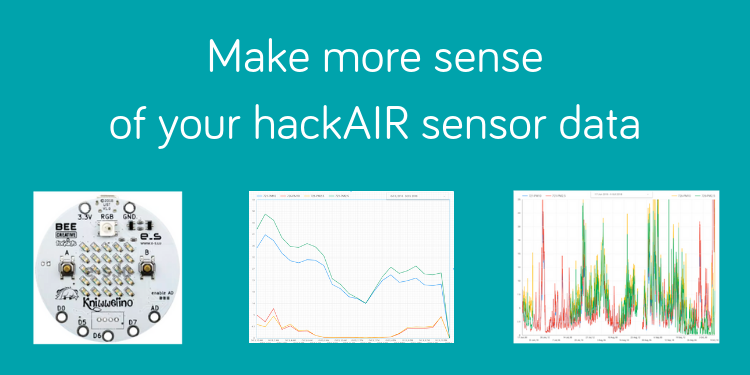 First, choose two sensor IDs of hackAIR home sensors from https://platform.hackair.eu. 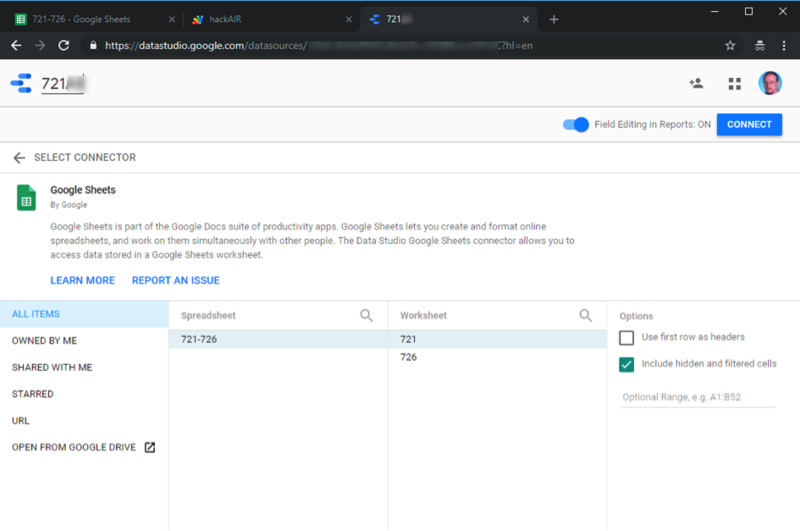 Start Google Data Studio via https://datastudio.google.com/navigation/datasources?hl=en and log in with a Google account (create one if necessary). Next click on the plus button in the lower right corner and type in hackAIR in the search field. Click on the icon top left and do the same for the second particle size and likewise for the second sensor id and its two particle sizes. Do this again one more time for an arbitrary sensor id and particle size “Dummy” (the data connector only delivers data where data exists in order to provide a solid ground for further aggregation. However, data blend needs a lead with a complete timeline and the Dummy source provides such a lead). You should now have five data sources. 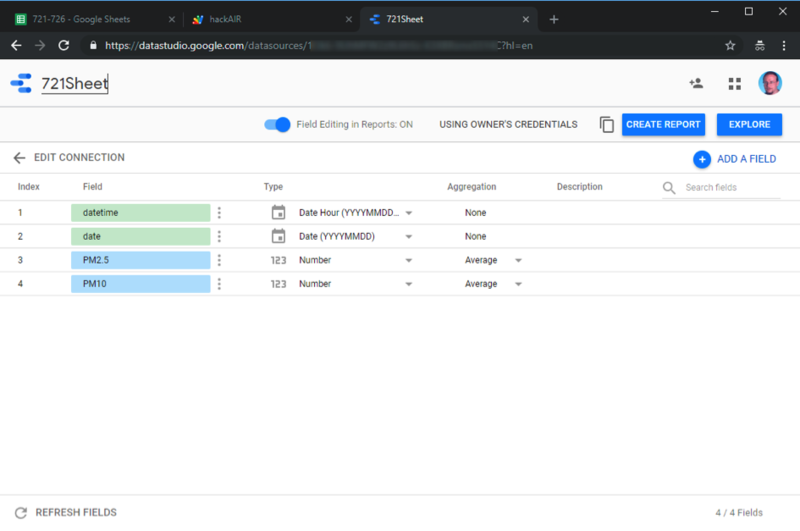 At the final dummy data source creation click on create report instead of the data source icon. 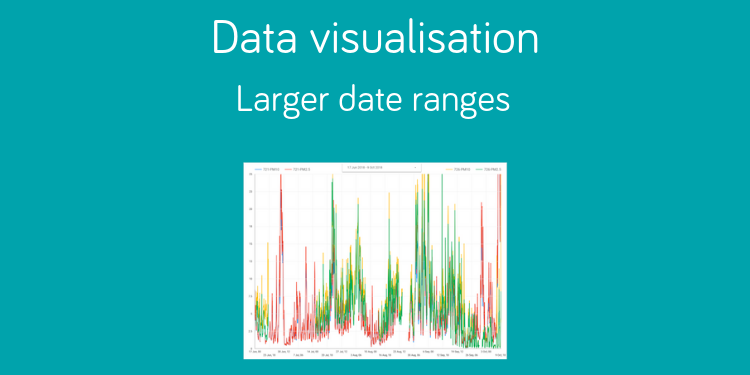 Click on Apply and click on the time series chart. 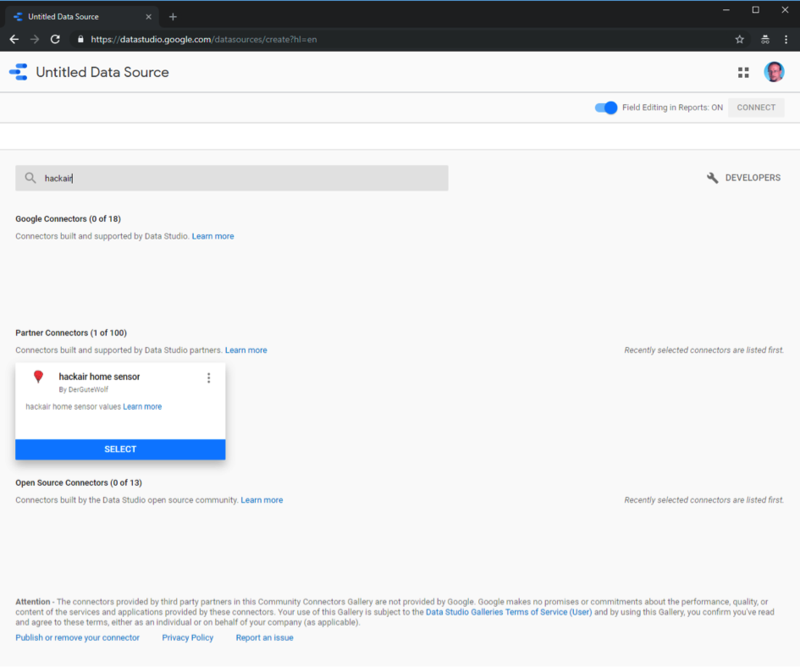 Click on Blend Data for data fusion of the four data sources. 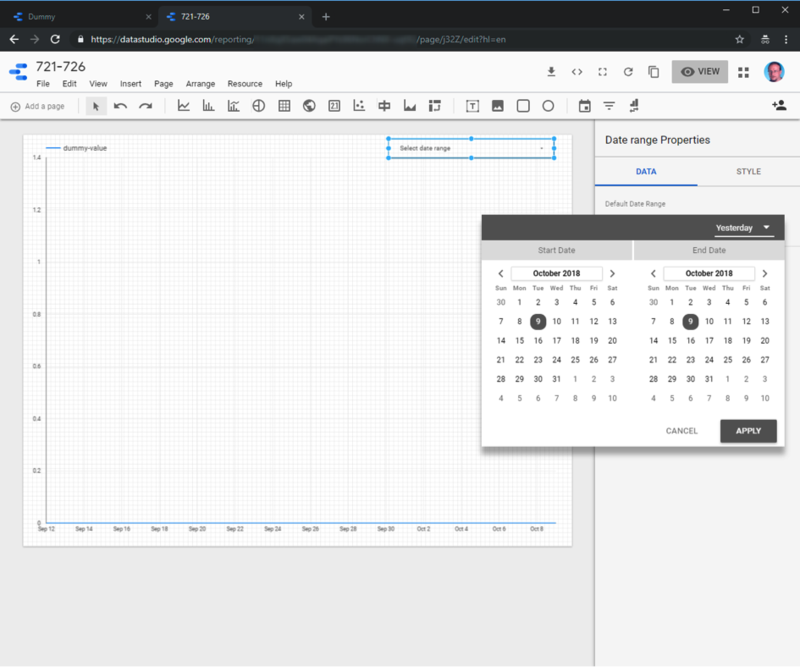 Replace date by datetime on the Dummy data source. Remove the dummy-value field. Add all remaining four data sources and name the value fields appropriately. Make sure that Date Range is for all five sources set to Auto (i.e. use our date range control). 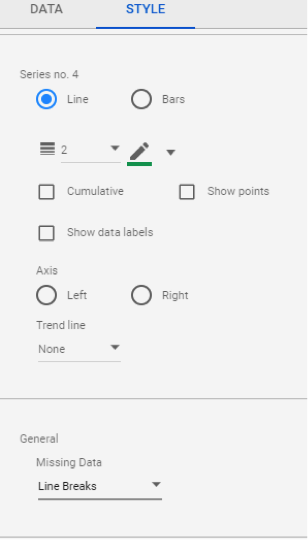 You could give your data blend also a name. Click Save and Close. 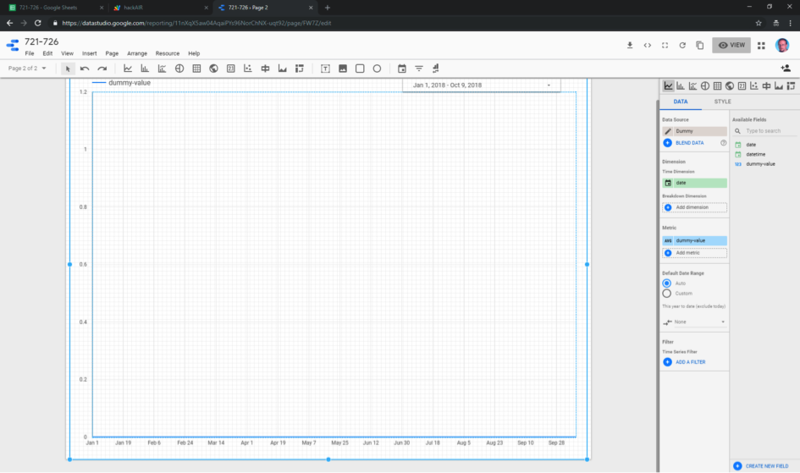 Add the four then available metric fields to the report. 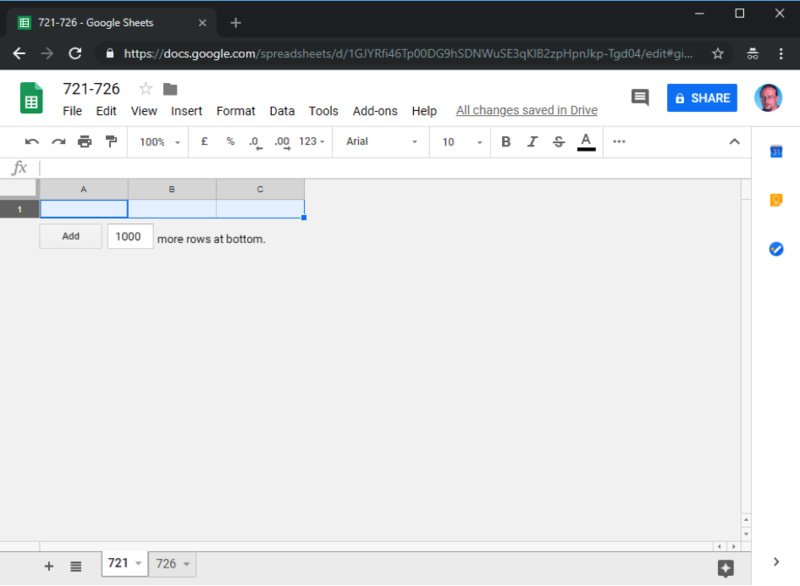 Choose the Share this report icon and click on the upper right text to get a link to provide to other people or to use in a web page to display this report. 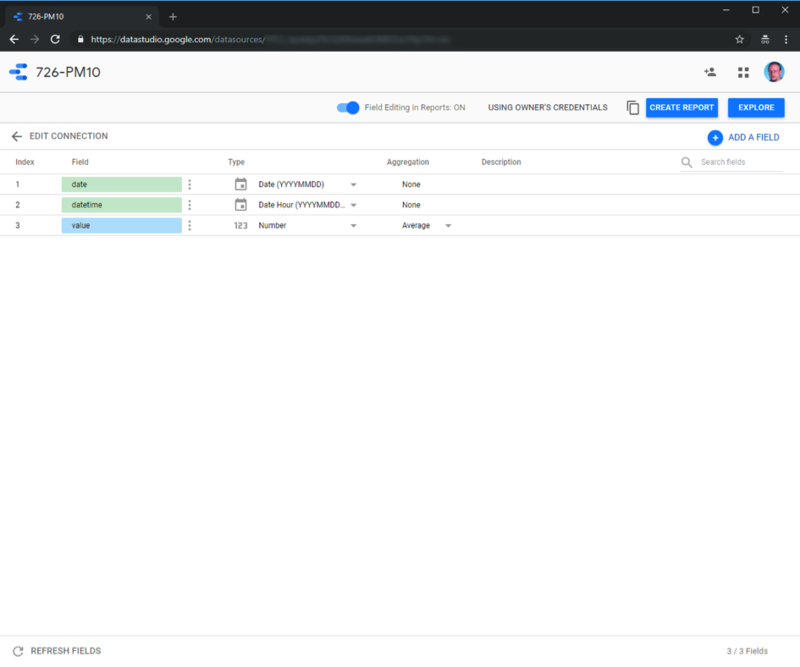 Click on Edit and choose File/Embed and selecting Enable Embedding in order to get a HTML snippet or a URL to include in a web page. 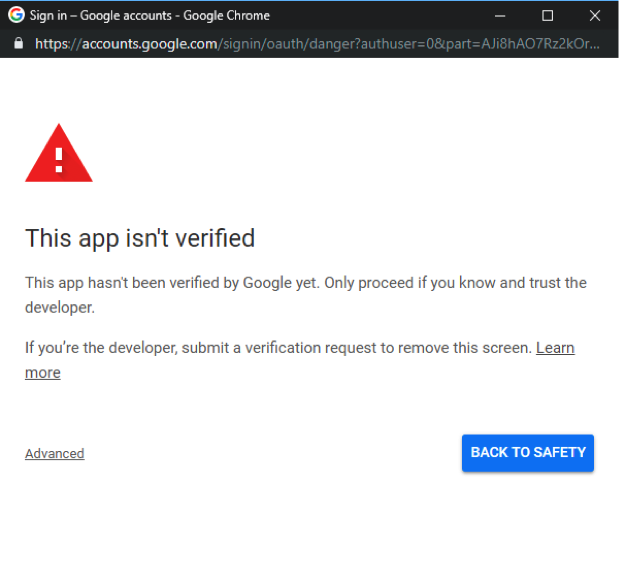 You can also use the URL to construct a HTML code which can be used to embed a thumbnail with a link to the full report page inside an HTML page.